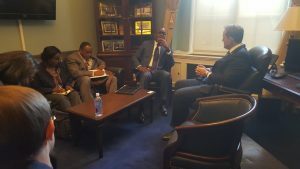 The Haiti Democracy Project’s executive-branch delegation provided last-minute input for approval of a grant for water supply and sanitation that will save thousands of lives. 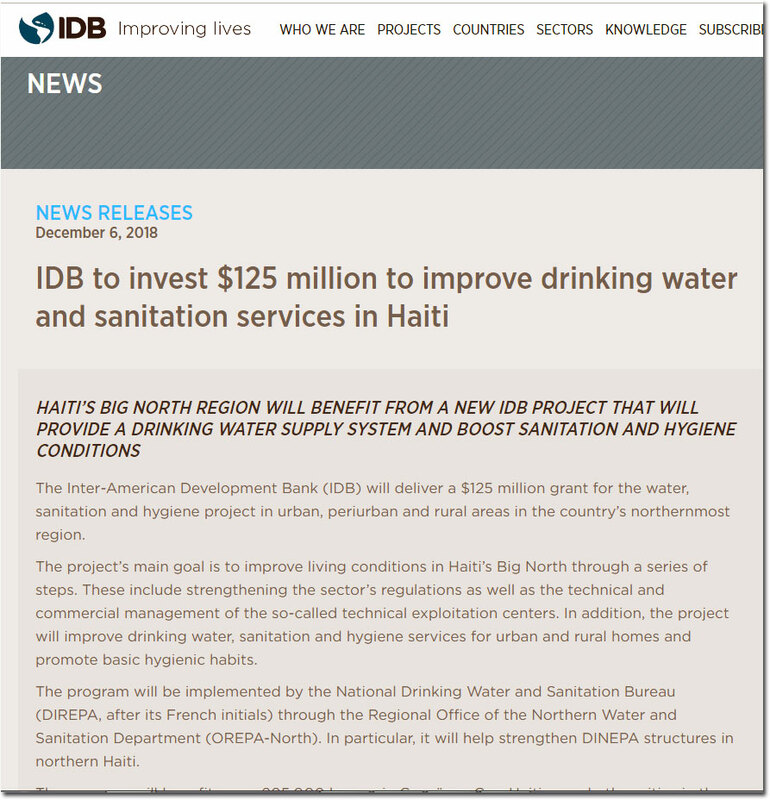 The $125 million grant will supply clean drinking water for the residents of Cap-Haïtien and Gonaïves among many other spots in the Artibonite, Nord, Nord-Est and Nord-Ouest provinces of Haiti. 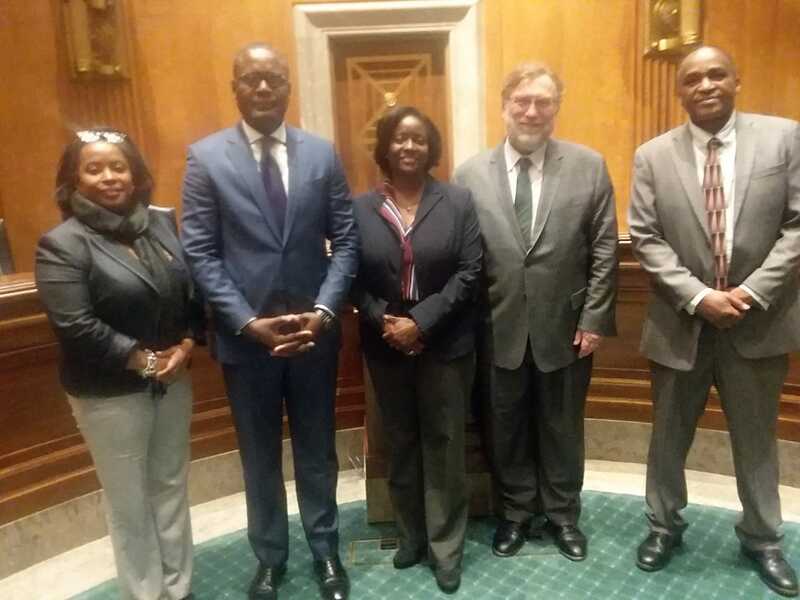 The delegation visited the Inter-American Development Bank on December 6 and got on the phone with President Jovenel Moïse to iron out final details that allowed the executive board to approve the loan that day. 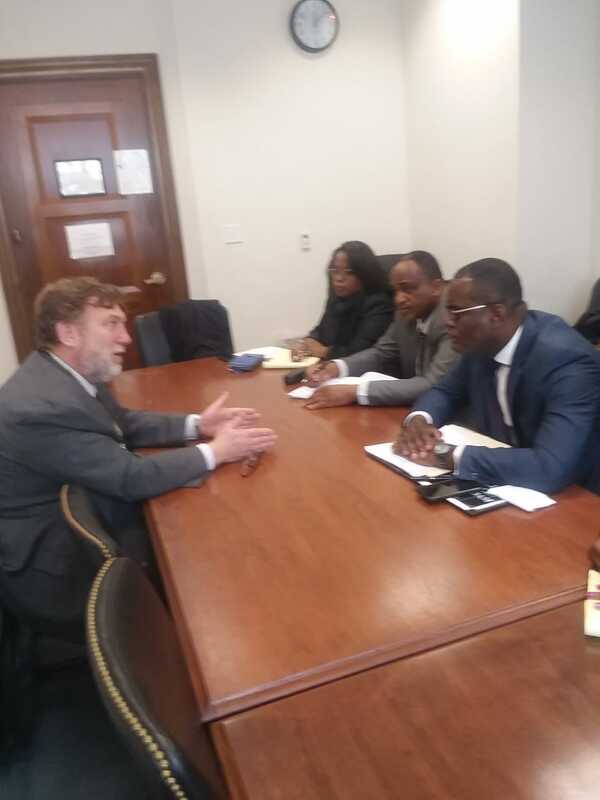 The crucial calls were made by delegation member Jean-Claudy Pierre, minister of planning, acting as liaison between the executive board and President Moïse. 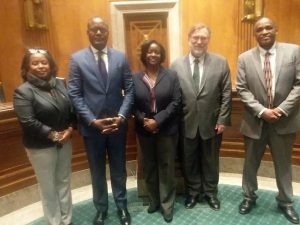 The work was done between 3 and 6 p.m. on December 6. Since 2003 our project has brought twenty-one business, nine legislative and one judicial delegation, and now our first executive-branch one. 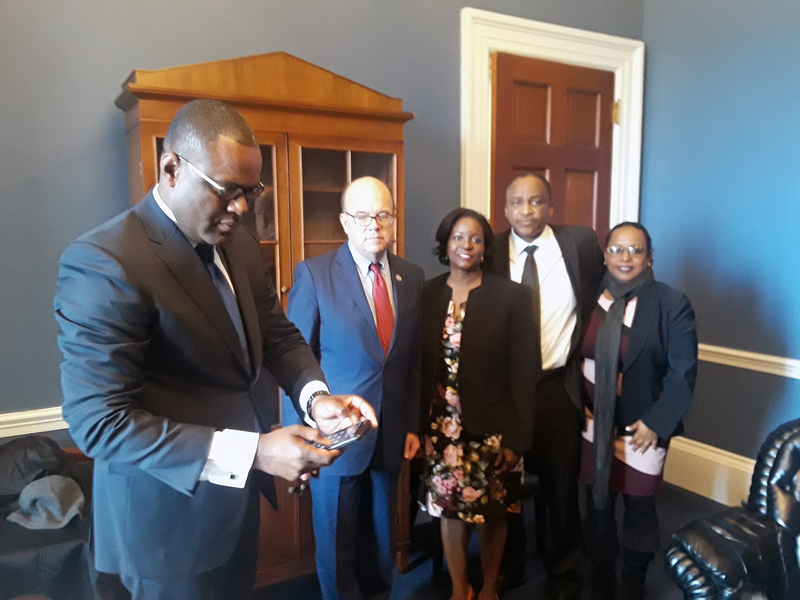 In today’s extraordinary circumstances when Haiti has lost several pillars of foreign support and the elected government is sorely pressed by its own lapses and violent rivals, we will seek to open doors in Washington for President Moïse and his administration.